Amazon is putting customers in South Carolina on notice that they are responsible for paying sales taxes on purchases they made with the online retailer last year, according to a report in the Charleston Post and Courier. 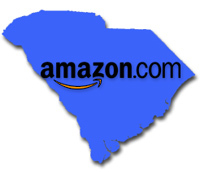 Amazon does not collect sales taxes on merchandise shipped to South Carolina, as it does not in most states. Instead, residents are obligated to keep a record of their online purchases and remit the tax with their annual income return, but in practice, most consumers are either unaware of the requirement or ignore it, a condition that has led to billions of dollars in uncollected revenue and sent state government officials in search of new measures to recoup the money. In South Carolina, officials had been pressing Amazon to begin collecting sales taxes after the company announced plans to open a distribution center in the state, thereby establishing a physical presence - the condition that the U.S. Supreme Court has established as the criterion that states must demonstrate before they can compel out-of-state retailers to collect sales taxes. Amazon protested the move, and after a series of negotiations, the state ultimately enacted a law that will require the company to begin collecting sales taxes in 2016. Amazon has brokered similar compromises with a handful of other states, in each case deferring the collection obligation for a few years in the hopes that lawmakers at the federal level can pass legislation to harmonize and simplify the patchwork of state and local tax codes. The company has emerged as a strong and vocal advocate for a national sales tax law that would permit states to require out-of-state online sellers to collect the tax, provided the states met certain benchmarks to demonstrate that they had simplified their tax code. The proposals that have emerged in the House and Senate would include a minimum threshold of annual revenue to exempt small sellers from the collection requirement. Amazon's support for a national law has cast it on the opposite of a lobbying war from eBay, which remains steadfast in its resistance to any new sales tax legislation that would require sellers on its marketplace to collect the taxes. In its notices to South Carolina customers, Amazon is including the total amount they spent on the site in 2011 and providing information about how to pay the taxes. Amazon agreed to send out the notices reminding customers of their tax responsibility as part of its deal with South Carolina officials to defer its own collection obligation, according to the Post and Courier. Amazon opened its first South Carolina fulfillment center in Lexington County last year, and plans to open a new fulfillment center in Spartanburg County as part of a $50 million investment in the state. Spokespeople for Amazon did not respond to requests for comment for this article.